HBH Birmingham: A woman, a hammer and a house needing help! Our fourth and final Half Built House was in Birmingham, the soon to be home of newly weds Matt and Claire. Like many people who get together now, one of them had a small apartment which the other moved into but they wanted a home to call their own. Matt was starting up an internet based antiques business so had his hand full with that, so teacher Claire took on the mantle of organising the renovation of the house they’d bought just around the corner. 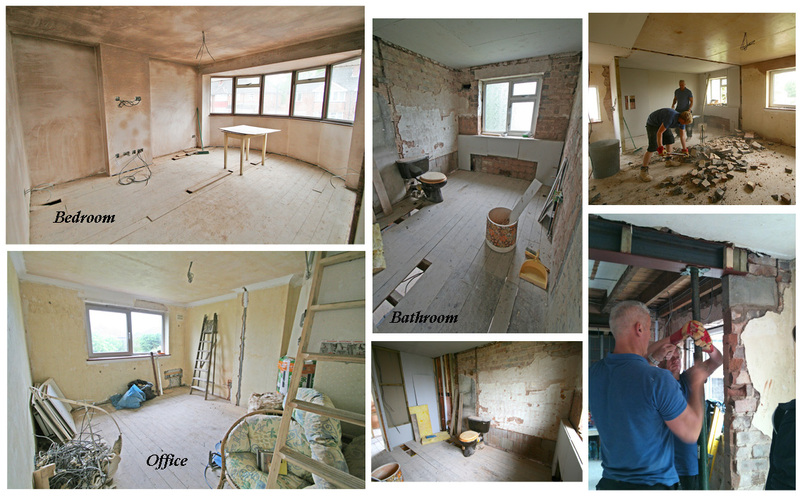 It only needed a lick of paint, a new kitchen & bathroom…. what could go wrong? I completely applaud anyone who gets stuck in to renovating a house whilst they are still holding down a full time job, have-a-go hammer heroes who get stuck in and aren’t afraid of hard work and long dirt hours, BUT the key to this approach is knowing when to ask for help, knowing when you’ve reached the end of your limited expertise and knowing when the job’s just gotten too big for one person to handle. As with so many older houses, the ‘lick of paint’ had turned into a back to brick refurb, with walls coming down to open up spaces and the inevitable full re-wire and re-plumb. No matter how good Claire was with that infamous hammer of hers, some serious building and design help was needed. 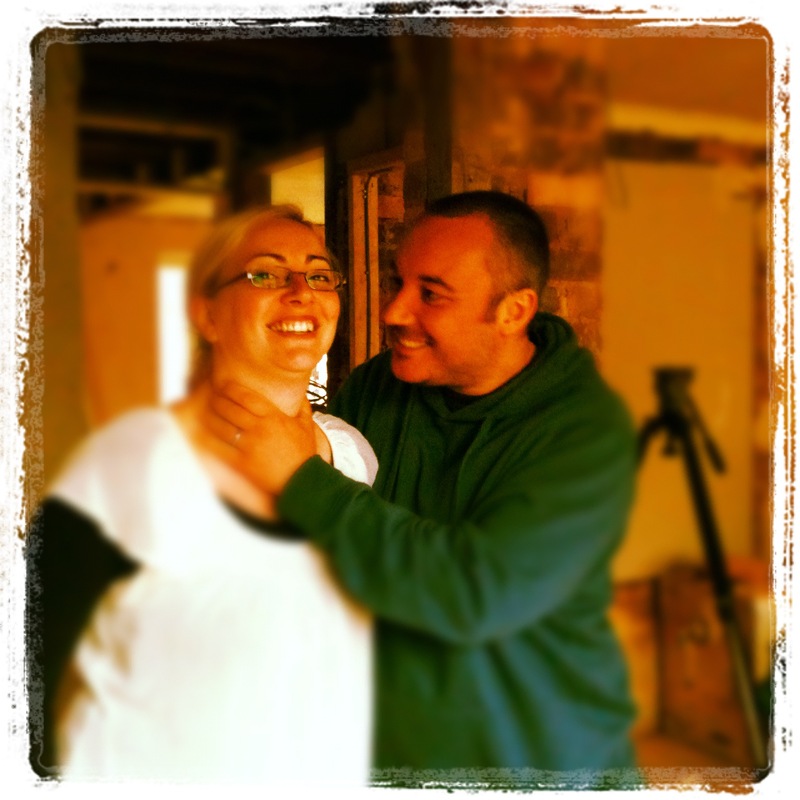 Over six months later and both Claire and Matt had fallen out of love with their home, Claire was exhausted with the organisation and on site work, and tensions were high. Hardly surprising. The whole house was still a building site but worse, the structural work which had been done by builders had left the property in a more dangerous state than when they’d started. It was impossible for the Team HBH to renovate the whole property in two weeks with the budget we had left from our £60k for 4 homes, approximately £10,500. I decided that the best place to start, after the dodgy pillars ‘supporting’ the universal beams had been rebuilt, was upstairs – my aim was for us to complete a fabulous master bedroom, a slick office for Matt’s new business and a large bathroom designed to soak away the cares of a stressed out couple. That would get Claire and Matt back on the path to sorting their house and give them some breathing space to get plans in place for finishing the job they’d started. Always better to start finishing a house from the top down, you can always live with a microwave and washing up in the bath, much harder to live without a bathroom!